According to Mrs Sanda in the said statement she made to the police, the fight eventually led to his (Bilyaminu) death. Ms Sanda was charged for the murder of Mr Bello, a son of former Peoples Democratic Party (PDP) chairman, Haliru Bello. 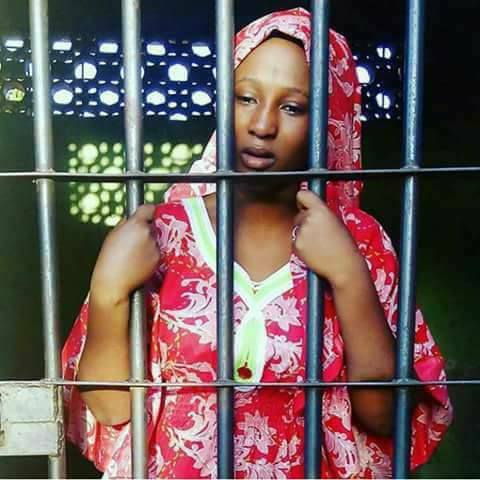 The accused was charged alongside her mother, Maimuna Aliyu; her brother, Aliyu Sanda; and their house-help, Sadiya Aminu. Mr Bello died in November 2017. During a court session on Tuesday, a police officer involved in the investigation of Mr Bello’s death, Josephine Onyinyedu, told the court that Mrs Sanda had written the statement herself, “without being forced to do it”. Mr Oyinyedu is the sixth witness presented to the court by the prosecution on Mrs Sanda’s trial. According to Mrs Sanda in the statement, during the fight in their Maitama residence, Mr Bello had slipped on a wet floor and then fell over a broken shisha pot. She added that she drove husband to the General Hospital in Maitama where he was pronounced dead on arrival. The counsel representing the prosecution, Fidelis Ogbobe, sought to tender a medical report which was issued by a doctor at the hospital and addressed to the divisional police officer (DPO). But Mrs Sanda’s counsel, Olusegun Jolaawo, objected to the admissibility of the document. Mr Jolaawo stated that only the doctor, “who is the maker of the document” can identify and tender the said report as an exhibit before the court. After the judge’s ruling, Mr Jolaawo revealed that he is set to file a no case application before the court.